This week is National School Choice Week, highlighting a topic that inspires plenty of heated debate. For many people it is a political issue. Many conservatives have promoted the idea of school choice and many liberals have accused them of wanting to secure tax funding for schools that promote religious doctrine, violating the traditional political wall between church and state. But non-religious alternative schools are flourishing, and the families with school-age children not only accept them, but obviously want more. It’s true that church-affiliated schools have long been the most numerous alternatives to traditional public schools. These, along with military academies and other private schools, are not tax supported, although many would be if lawmakers were to approve a voucher system enabling parents to use public funds to send their children to the school of their choice. Secular schools are growing rapidly, however, led by charter schools. These are publicly funded but privately operated, with fewer restrictions on teaching methods but the same requirements on student achievement that apply to public schools. They also are under greater scrutiny; a low-performing school can lose its charter and be closed down much more quickly than a public school, reducing the time its students must stay in a poorly performing campus. Several charter schools, such as the IDEA academies that originated in the Rio Grande Valley, have drawn national acclaim for the quality of education they offer. Many charter schools haven’t distinguished themselves as any better than their public counterparts, but IDEA and other specific charter holders have. 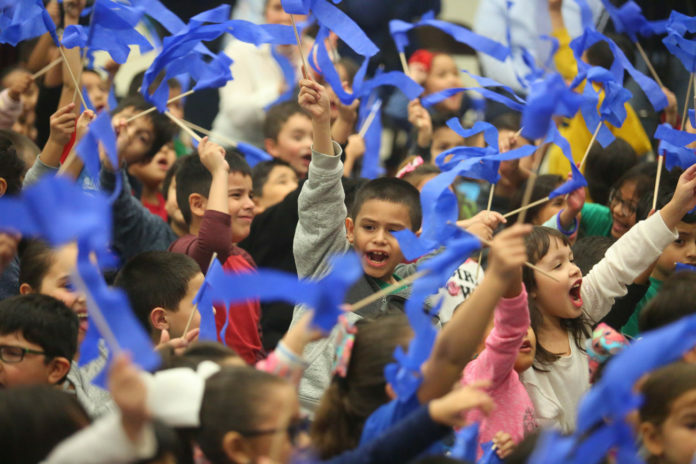 Magnet schools also are growing in popularity. They are similar to charter schools, but give added attention to specific courses, such as certain careers, science-technology-engineering-math or college preparation. Many of these schools are selective, with entrance exams to ensure that the students have the interest and aptitude to be successful with the more focused curricula. Many parents have chosen to home-school their children, and networks have been created through which families can share curricula, learning activities and other ideas. A more recent homeschooling option is the growth of online schooling. Several tuition-free online academies have earned certification from the Texas Education Agency to serve families that want to homeschool but don’t have access to certified teachers or course guides. Families often can choose full-time online enrollment or specific courses in which a student has a particular interest or need. The Texas Virtual School Network, TXVSN.org, has more information about online options and a list of certified schools. Some families might consider online and homeschool options for their children who have special needs. Students don’t have the social interaction that comes with attendance at a brick-and-mortar school, although homeschool networks are being formed through which families can interact. And as charter schools expand, many are offering sports and other extracurricular activities that previously was only available through the larger public and private schools. Most children probably will do well in whatever school their parents choose, but those with special needs or interests could benefit from an alternative type of school. For those students, we should support the ever-expanding options in education.